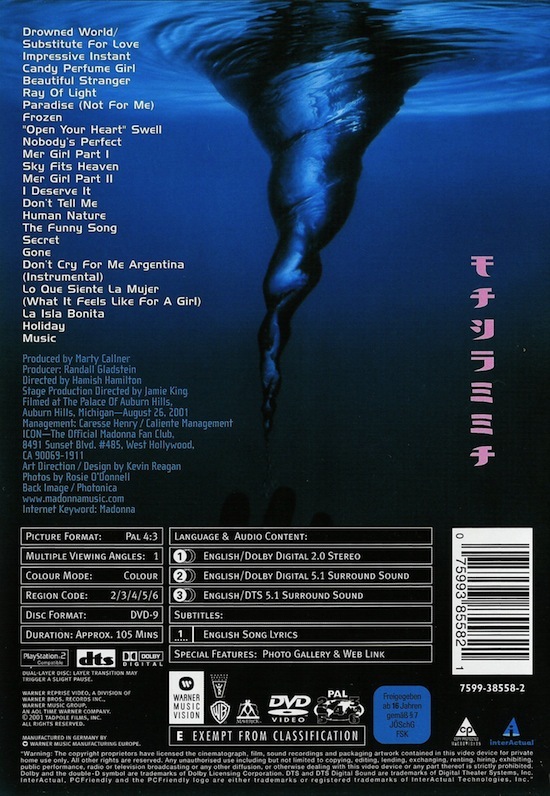 On February 12 2002, Madonna: Drowned World Tour 2001 was named Best Music DVD at the 1st annual UK DVD Awards in England. 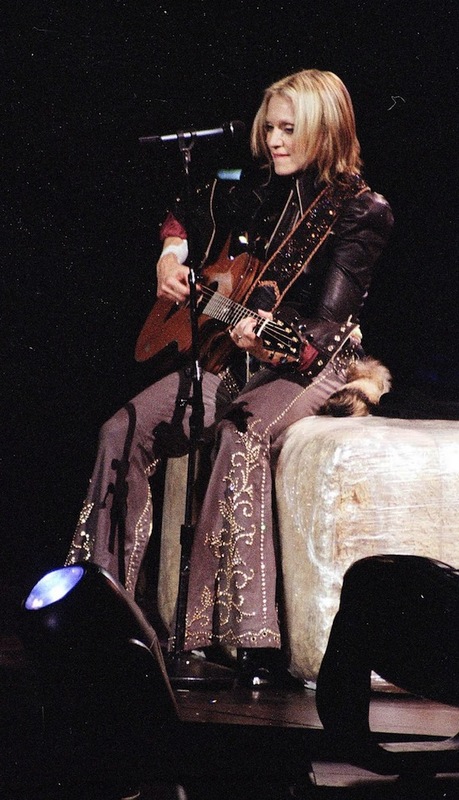 On November 13 2001, Madonna’s Drowned World Tour 2001 was released on home video and DVD. 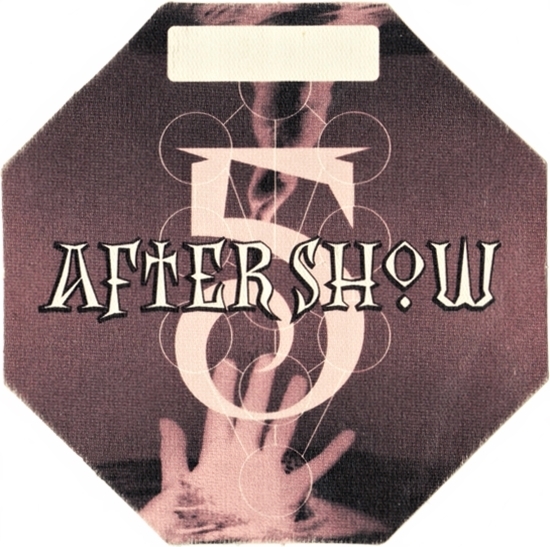 The DVD/VHS release included the concert that was broadcast live on HBO from The Palace of Auburn Hills in Auburn Hills, Michigan on August 26, 2001. A photo gallery was included as a bonus feature. 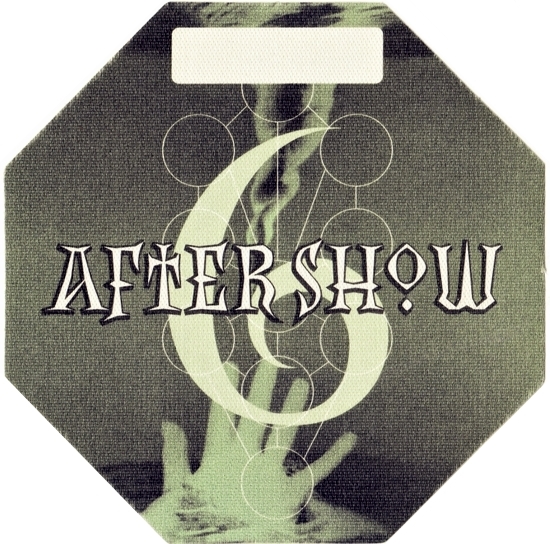 Like the original airing of the show, the DVD received very good reviews. 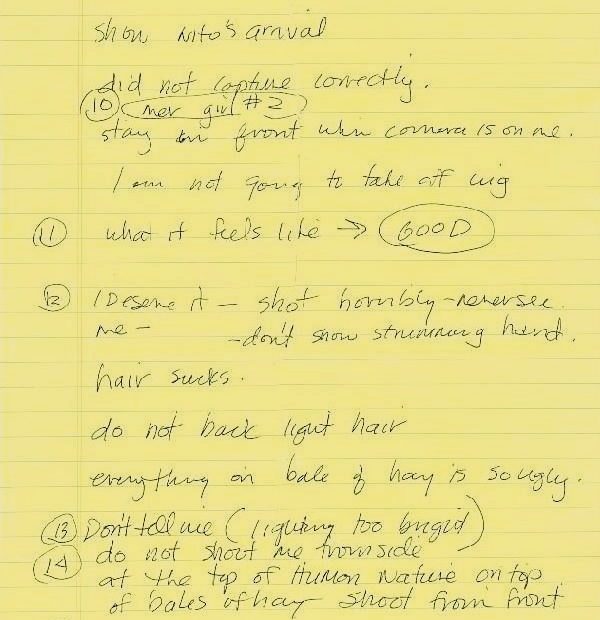 The photographs used on the DVD packaging were taken by Rosie O’Donnell. Were you able to see the Drowned World Tour live in person? 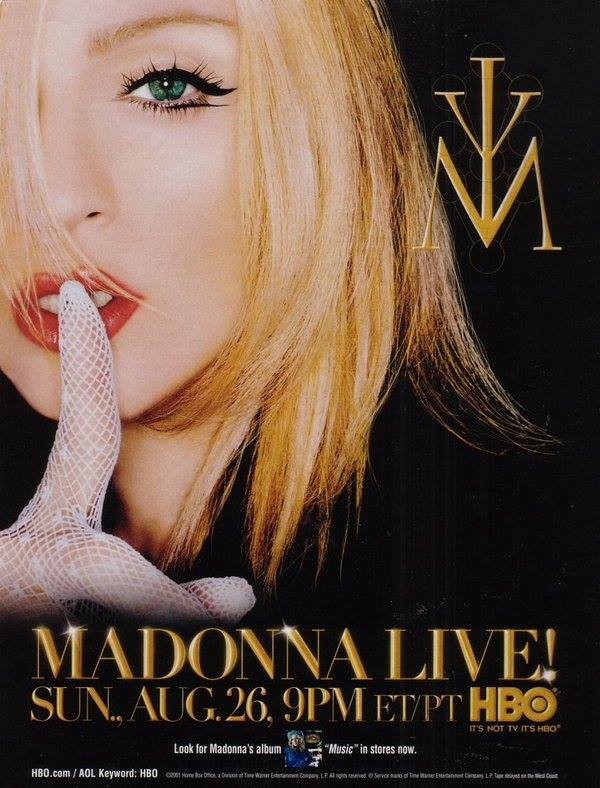 On August 26 2001, Madonna Live! Drowned World Tour 2001 was broadcast live on HBO and The Movie Network in Canada from The Palace Of Auburn Hills, Auburn Hills, MI. It was seen by 5.7 million viewers – the network’s third highest rated prime-time concert special since 1997. The broadcast marked the second time Madonna had selected her hometown as a location to record one of her shows, the first being The Virgin Tour home video/laserdisc release, filmed in 1985 at Cobo Arena in Detroit. 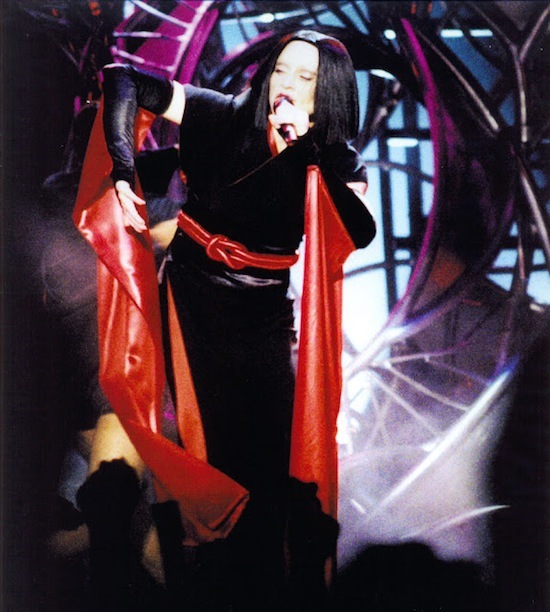 With the Drowned World Tour itinerary not including any dates in Canada, many Canadian fans who purchased tickets for one of the two shows in Detroit were pleasantly surprised when it was announced that the second show would be broadcast live in both countries. 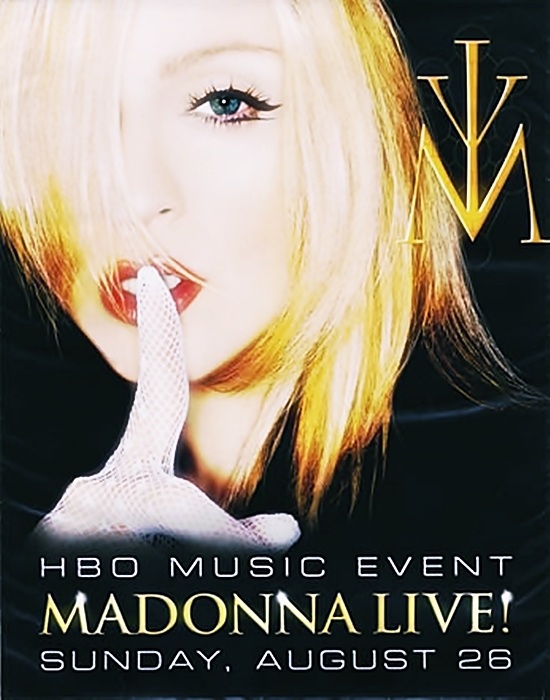 Madonna’s previous HBO specials for the Blond Ambition and Girlie Show tours did not receive a live broadcast in Canada, although the latter did air on MuchMusic at a later date. On July 25 2001, Madonna played the first of five sold-out shows at New York’s Madison Square Garden during her Drowned World Tour. On July 4 2001, Madonna performed the first of 6 sold-out concerts at Earl’s Court in London, England. Madonna is taking her Music to the masses — HBO masses, that is. The cable network will air a live concert from the pop icon’s latest tour, the first in eight years, called the Drowned World Tour. Airing Aug. 26, the concert will be broadcast from The Palace of Auburn Hills in Detroit, Madonna’s hometown. It’s a thrill for us to have Madonna back because we know it is going to be a spectacular show, with that combination of her amazing talent and extravagant style which only Madonna can bring, says Nancy Gellar, HBO’s senior vice president of original programming. HBO and Madonna last teamed for 1993’s Madonna — Live Down Under: The Girlie Show, which aired live from Sydney, Australia. The program was HBO’s most-watched original program of the year. Madonna’s first special on HBO, 1990’s Madonna — Live! Blond Ambition World Tour, premiered to record numbers and remains one of the highest-rated original programs in HBO history. 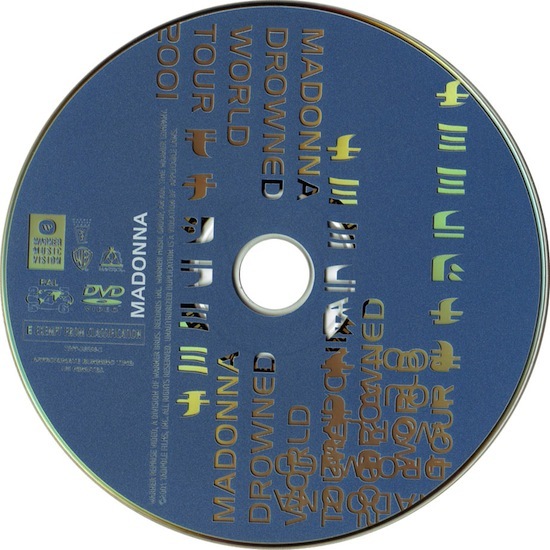 Unlike HBO’s previous Madonna tour broadcasts, however, the live airing of the Drowned World Tour was simulcast to Canadian viewers via premium channel, The Movie Network. A re-edited version of the concert special was later released on VHS & DVD on November 13th, 2001. On March 14, 2001, Madonna held open auditions for dancers for her Drowned World Tour at Musical Theatre Works in New York, NY.